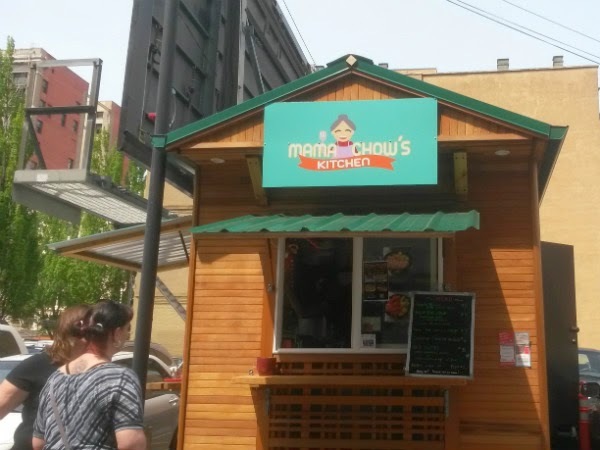 Mama Chow's Kitchen is located near SW 2nd and Stark in downtown Portland, Oregon. Owner Jeff Chow opened this cart a couple months ago. 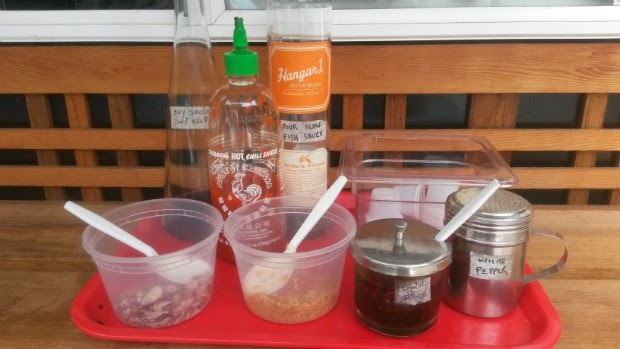 I first heard about his cart from Steven Shomler, then Brett at Food Carts Portland did an article. Since this cart is generally just open on weekdays, I finally got to try Jeff's food at Eat Mobile. Jeff is a trained chef who worked in California restaurants. He then moved to Portland and started his food cart, using recipes and inspiration from his mother -- hence the name of the cart. With every customer, Jeff takes the time to ensure quality presentation and preparation. You can see the passion he puts into everything he makes. 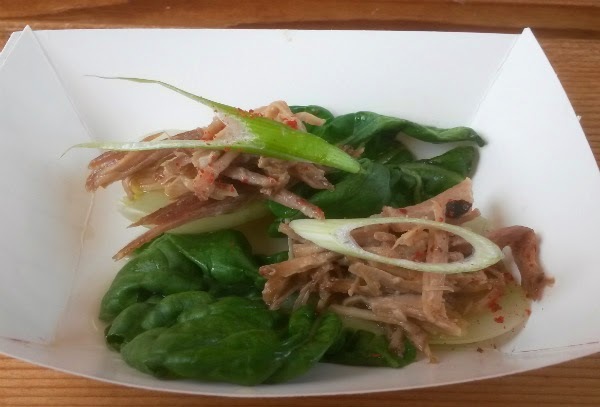 Jeff started me with a taste of his kalua pig, served with bok choy. Everything was properly cooked. The bok choy kept its crunch against the juicy/tender pork. 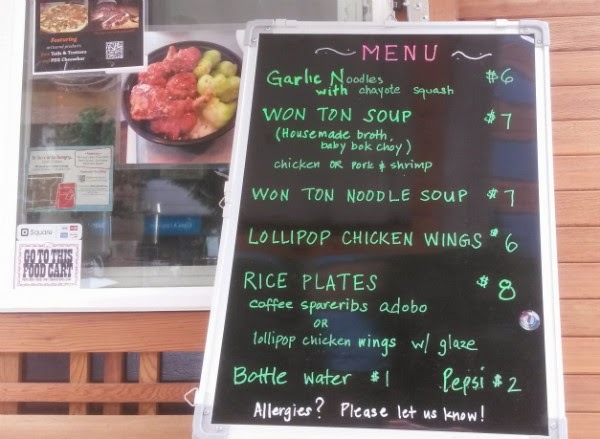 People have constantly praised Jeff's lollipop chicken wings. Jeff pushes the meat up, so there is a bony "handle" to hold. I highly recommend getting the wings with the sweet/savory glaze. The wings were perfectly cooked. 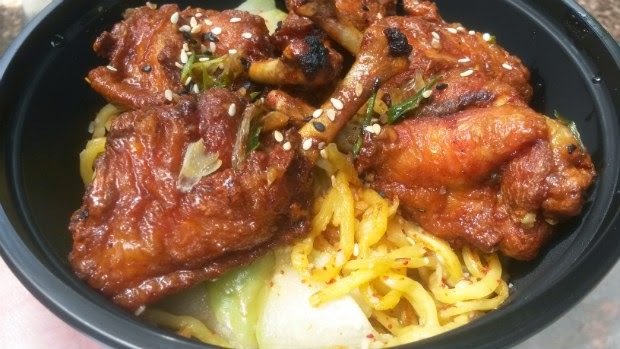 While Jeff does rice bowls with the wings, many regulars have opted to get the garlic noodles instead of the rice. The noodles are similar to a yaki soba noodle and are extremely garlicky. The panda enjoys garlic to ward off any vampires that may chase him for food in the middle of the night. Jeff finishes off each dish with chili flakes and sesame seeds (white and black seeds). It's so awesome how a little spice and some sesame seeds can really brighten the dish up that much more. 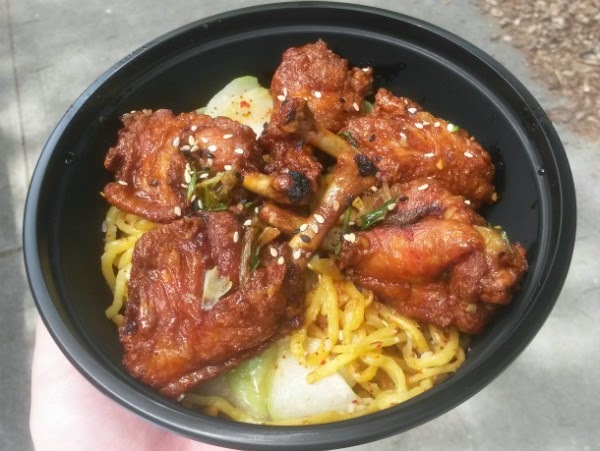 A noodle bowl with the wings will run about $8 and comes in a nice plastic container. It's a deceivingly filling meal that may turn people into fluffy food coma creatures. I've heard great comments about Jeff's wonton soup. His mother's wontons are a neighborhood hit back home and provided the final inspiration for the food cart.